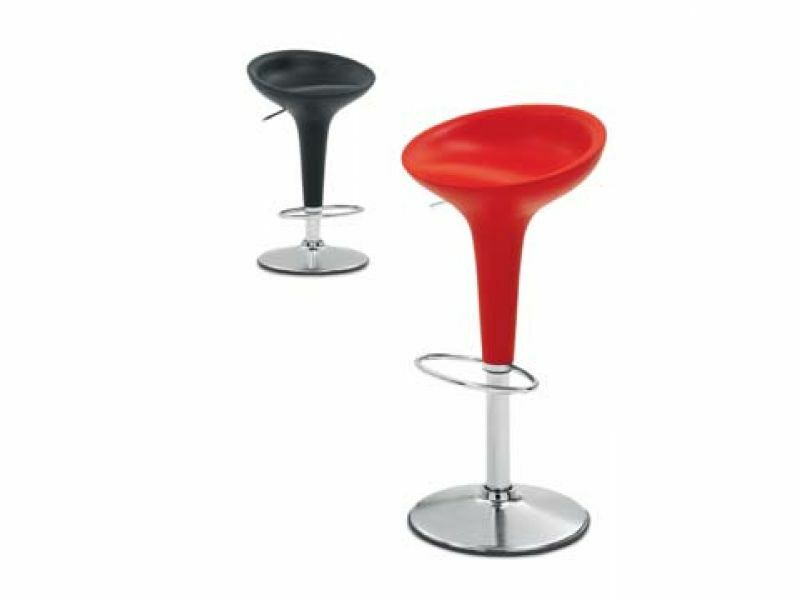 Family of stools with fixed or height adjustable seats. ABS plastic seat in variety of colours and metallic silver. Base & footrest in chrome. White, Ivory, anthracite, lilac, blue ultramarine, orange,green. Chrome base, foot rest and gas lever.